I was heartbroken! Disappointed! Slightly angry and my self-esteem had definitely taken a hit. It was 1998 and my best friend and I had just returned from a month in Europe. The trip had been amazing! Despite the US playing horribly, Schaef and I had enjoyed a great World Cup. We had toured England, Spain, France and Germany seeing five World Cup matches along the way. The only downside to the trip had been that my girlfriend and I were never able to connect on the phone. Either we were traveling or she was working but we kept missing one another. Then when Schaef and I got home, the worst possible scenario came true. She was breaking up with me and was possibly seeing someone else. After a month of pure joy, I was paying the price with pure agony. My life had basically fallen apart. I had lost my girlfriend, my place to live (we were moving in together when I got back) and my future (in my head marriage was the next step). Now I was left with nothing and all alone to build things back up again. As much as I would love for the theme song from Rocky to start playing in the background and tell you that I got myself right in about a week, it took about a year. The details of my rise from the ashes are not as important as the recognition of who/what turned me into ashes. The person who was responsible for my agony was me and the tool that I used to inflict it upon myself was meaning. There are many things that happen throughout life. Although some may have positive or negative connotations to them, most are subject to interpretation. It is not particularly the situation that causes the most pain but the meaning that we associate to the event. My breakup meant all kinds of things at the time. It meant that I was worthless, hopeless, helpless, lonely, a loser and a bunch of other things. It took time to gain perspective and put new meaning onto that experience. It was freeing, challenging, educational and the best thing for both of us. Obviously this all came with time but it didn’t need to. That experience did not need to be so destructive, had I been a Master of Meaning (M.O.M). At the time, life happened to me more than I influenced it. For better or worse, the events of my life would happen and THEY made me feel good or bad. This is of course nonsense. The events of our lives can influence but do not completely control how we feel. Any event can be made to feel like it is positive or negative based on the meaning that we attach to it. A million dollars is nothing but currency with pictures of dead presidents on it. How someone reacts to receiving a million dollars is based completely on the meaning that they attach to it. For many it represents possibility, happiness and freedom. For others it means obligation, mistrust and greed. The meaning that we put onto any event is crucial to how we feel about our lives. Our habits of making meaning will make our lives seem like it is heading in one direction or another. Until we take our power to decide, we are at the mercy of circumstance. That is a difficult life to lead! What will today mean for you? Mediocre means “ordinary, average, middle-of-the-road, unexceptional, lackluster and forgettable.” In many ways, I would put myself in the category of mediocre. I’m 5 foot 9 inches tall and weigh 190 pounds. My bench press and squat numbers are nothing impressive. I got a 1060 on my SATs (the old version). My yearly income is nothing to “write home about”. By most accounts, I am pretty mediocre. The thought of mediocrity has been one that has entered my mind several times over the past year. The realization of my own mediocrity was nothing new. I have little chance to become exceptional in most areas. Even for my age, the benchmarks of excellence are pretty high. This divide creates a chasm that stagnates improvement. With the possibility of excellence off the table, it is easy to see why so many people lose their drive. However it is actually in this chasm that I believe we actually have the greatest of societal opportunities. As a collective (Athletes, Americans, Humans), we can choose to strive for better mediocrity. In the past, I have written about the “Bannister Effect” and how the breaking of new ground creates possibilities for others to follow. That is a concept that I still endorse wholeheartedly. However as I thought about my own mediocrity, I came to realize that we need a “second wave”. There must be another push from the middle. The outliers pulling forward will only have an effect on those that are close to their level. For example, the 10s only pull the 9s forward but the effect is almost unnoticeable by the time that it reaches the critical mass in the middle. This second wave needs to be created as an individual and a collective undertaking. The mediocre individual competes for the most part with himself. Improving with a partially selfish desire to take a step up one rung on the ladder. Despite this selfish motivation, the individual also recognizes his membership of a collective (Athletes, Americans, Humans). The “mediocre Americans” are getting better. The middle of the road changes from 5 to 7 and there is a pride in self and the collective. 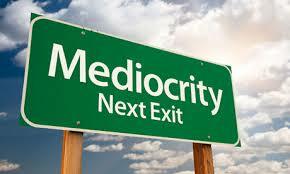 Better mediocrity would change so many things about our lives and expectations. Perhaps mediocre would no longer be a slight insult but rather an identifiable force pushing the forerunners to greater excellence. If you happen to be mediocre, choose to be better mediocre! This is by far one of my favorite pictures. It seemingly represents a father “asleep on the job”. The parenting books say that you shouldn’t do this. However I have this identical photo with my son and I never had a mishap. There are many reasons why I love this picture. One is that it is a reminder of a period of time when I learned a lot about myself. The learning curve for a first-time (and even second time) parent is pretty steep. Your life is filled with turmoil and you work on less sleep than seems humanly possible. A key to survival as a parent is self-knowledge. 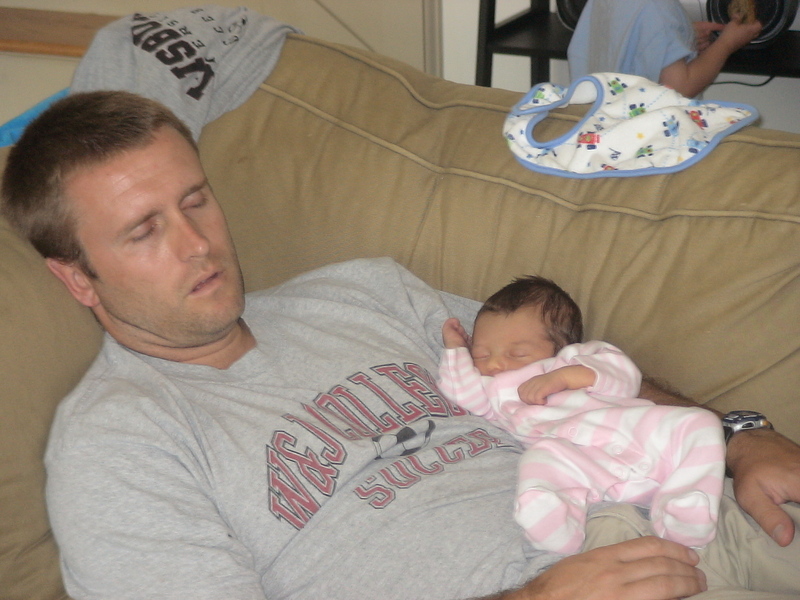 My wife and I were a good team through the infant stages because we knew our own and the other’s strengths. My cuddle naps were a piece of the puzzle that made a difficult time more manageable. I knew that I wouldn’t roll because the cargo was too precious. Raising a child is a mixture of trial and error with a complete belief that you will not fail no matter what. Babies teach you a lot about yourself because you can’t bargain with them. They let you know their needs on a constant basis. Your complaints, excuses and convenience do not matter to a new born baby. They will test your limits and then retest them the next day. Ultimately you end up finding strength that you never thought you had before. It is inevitable because you have no other choice. What is your baby? Is it making the varsity team? Is it singing a solo in the concert? Is it running a marathon? Is it asking that special someone to prom? Is it finishing that book that you started six months ago? Take care of your baby. Keep it warm and safe. Feed it with the best fuel that you can find. Help it get on its feet. Stand it back up when it falls flat on its face. Help it find its legs and walk on its own. Protect it from the ridicule of others. Watch it grow and be proud of what it becomes because it is yours. Take care of your baby! Even when it throws up in your face! In today’s high-speed world, people use acronyms more often than ever before. In the past people hoped to be the MVP, a VIP or the CEO. Now we are saying IDK, LOL, BRB and other things that I don’t even feel comfortable writing in acronym form. Today I’ve decided to coin my own acronym. It applies to many people and even applies to me at times. Rather than being a VIP, we seem intent upon being the V.O.C. The VOC is the Victim Of Circumstance. It’s a really tough place to live. Circumstances keep piling up on these individuals that they don’t like. The world has thrust all of this upon them. They don’t like their job, school, boyfriend/girlfriend, lack of popularity, lack of influence or prospects for the future. These people have it, THE WORST EVER!. Go ahead and try to tell them about a bad situation in your life and they can find one from theirs that is ten times worse. The worst thing in most cases about being a member of the VOC club is that you have to choose to be a member! That is one heck of a choice to make. There are many things in this world that we should choose to be, a victim should not be one of them. The problem with being a victim is the lack of power. It is by nature a position of weakness and defense. At some point the VOC decided that it was better to be weak, defensive and blameless rather than taking responsibility for themselves. This is a dangerous bargain to make because eventually it is a self-fulfilling prophecy. When you are wearing brown tinted glasses, everything in the world looks like feces. So rather than being the VOC, become the DOC. The Director Of Circumstances is not completely in control of circumstance but acts more like a traffic cop. The DOC decides what he or she will let pass and what needs to be stopped and evaluated further. The traffic cop is separate from the traffic. They may cause it, they may alleviate it but they are not the traffic. Ultimately, they can usually move to a different intersection if their position becomes too much to handle. It is a game of choice. Direct your life today! 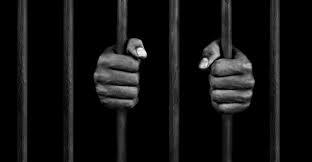 Don’t be a victim within it! 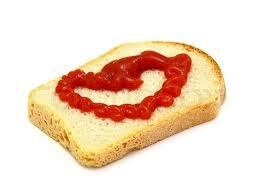 Ketchup is intended to be a condiment. Something that is a taste enhancer. It should not have been a staple of anyone’s diet. However I made it a center of my diet between my sandwiches and drowning things so completely in ketchup that I was often asked, “do you want fries with your ketchup?” Luckily this was just a phase and eventually I found a lot more foods to fill my plate. It’s an easy thing to explain away in these terms. A young boy, who is afraid to try new foods, relies heavily on something that is safe but nutritionally empty to make it through. This concept becomes more difficult to explain when we look at ourselves. We’re not little kids anymore yet we cling heavily to things of little or no value. In small doses, things like junk food, television, alcohol, etc. are not life altering forces. However when those “condiments” become staples of your life’s diet, it is hard to say whether you are truly living or if you are just alive. I’m looking in the mirror here. Have a great weekend people! 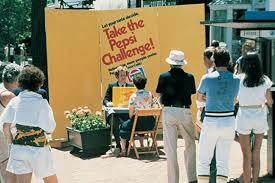 Last century (specifically in the 1980s) Pepsi had commercials and other advertising with the “Pepsi Challenge”. An “unbiased” consumer was asked to try two different colas and give their preference. Of course the on-camera participants always chose Pepsi. Perhaps it was what they truly liked or the entire thing was rigged in some way. In all honesty it doesn’t matter that much to me because I preferred Pepsi to Coke without the seeing choices of others. It does make for an interesting discussion on why we choose the things that we do. In a given day, you have literally thousands and possibly millions of choices to make. Some of these choices are simple and probably automatic. For example “Am I going to wear clothes today?” No matter whether the answer is yes or no, it is an easy choice based on your daily life. 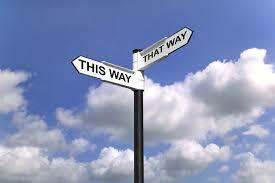 Other choices are much more complex and require major deliberation. Choosing to go to college or the military is life-altering and for many would demand some time and attention. 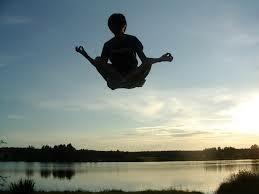 In the middle of the automatic and grandiose decisions are many moment to moment choices that need to be made by you. There are many people who treat these mid-level choices as though they were huge. 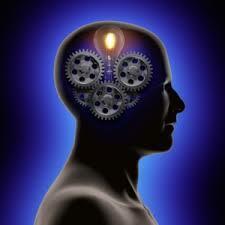 Others put all of their choices on automatic pilot letting others decide for them. The worst scenario is that people forget that they are choosing at all. In each moment, you have choices and some of the most important are about how you are going to feel. Believe it or not, it is a choice. If you are feeling sad, it is a choice. Perhaps there are very good reasons for you to choose that but it is your choice. By taking the physical state of your body, your mental focus of the moment and your inner dialogue, you determined the feeling that you were going to produce. So now I put a new “Pepsi Challenge” on to you. Let’s call it the “Huryk Challenge”. Can you choose to feel good in all circumstances today? No matter what life throws at you, can you CHOOSE to feel good. You do not need to like the circumstances but you choose your feeling despite the poor situation. I challenge you. There are often debates with sports about who is the “Best There’s Ever Been”. In basketball, names like Michael Jordan, Lebron James and Wilt Chamberlain come up often. In soccer, the names are usually Pele or Messi. 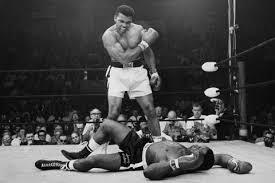 Muhammad Ali proclaimed himself to be the “greatest of all time”. Many of these conversations are apples to oranges comparisons that are nothing more than opinion. The positive side to these debates is that they give a peak model for the newcomers to follow. For most of us, we were not born with the necessary tools to be the “best ever” in anything. The books “The Talent Code” and “Outliers” outline many of the factors that contribute to the recipe of greatness. Despite the lack of ingredients, there is no reason for the everyday person to shy away from the thought of greatness. We must reach for rungs on a ladder that we are able to climb effectively. By comparing myself to Messi, I’m setting myself up for failure and disappointment. In order to find true comparative success in anything, there is one basis for comparison – self! In ourselves we can find both our truest basis for comparison and our best competition. “Never try to be better than someone else. But rather be the best you can be.” is a quote from legendary UCLA coach John Wooden. As we standardize test and rank everything from our number of friends to attractiveness, it seems as though we’ve become obsessed with comparison to others. This obsession moves us farther from the comparison that we really must do in front of a mirror or in our mind’s eye. You don’t need to try to be the best there’s ever been. You only need to be the best you that you’ve ever been. For several years, I was a a pizza delivery guy. I’m good with directions and my eyesight didn’t start to go until I was thirty, so it was a great fit. Every once in a while, I would completely “zone out” as I was driving. I would be halfway to my destination when I realized that I was giving absolutely no thought to where I was going. This form of “auto-pilot” never interfered with my job because the destination was set-up someplace in my subconscious mind. Life can often feel like this. You have no idea where you are going but you’re traveling down the road at 50 MPH without a care in the world. This might not be a problem if you’ve defined your destination and have set up systems to keep you on course. Unfortunately it is usually not the case. Especially for young people, speed seems to be more important than direction. If distance covered is your goal, then speed is your friend. However reaching the correct destination requires, direction first and speed second. So it might help to ask “Where the hell am I going?” Today, tomorrow, next week, next month, next year, in general. Once you know where you are going, it is much easier to check in with yourself each day to see if you’re going in the right direction. Then you can decide to go faster. Sidenote: The GPS has made asking for directions a rare occurrence. However if you are ever lost, don’t go to a gas station to ask directions. Go to a pizza delivery place, they actually know how to get places. Get focused and get going! As a speaker of Spanish and English, I get a good perspective on the differences between the two languages. One of the most confusing differences for English speakers is reflexive verbs. In Spanish, you wake yourself up, wash yourself and brush yourself your teeth. There are many actions that Spanish specifically tells you that you do to yourself. For example, the verb levantar means “to lift” but levantarse means “to lift one’s self or get up”. This simple difference in the way that an idea is expressed can change our perception of self. Our language sometimes limits our thought process because we often think in words. The idea that we lift ourselves up is not a difficult one to understand. However it is one that we may take for granted. We’re too busy getting up every morning to remember who is lifting us up and why. Even though we are always lifting ourselves up, we may feel forced to do it. There is power in choice. Deciding on the reasons why you are getting up in the morning gives you the power to live with purpose. It is much easier to slog through difficult times when there is something waiting for us at the end. If all you see is the slog, then life is the slog. So even though the day has already begun, it’s not too late to decide what today is about for you. Why did you get up this morning? If you don’t like the answer that you give then re-ask the question with a broader scope of possibility.